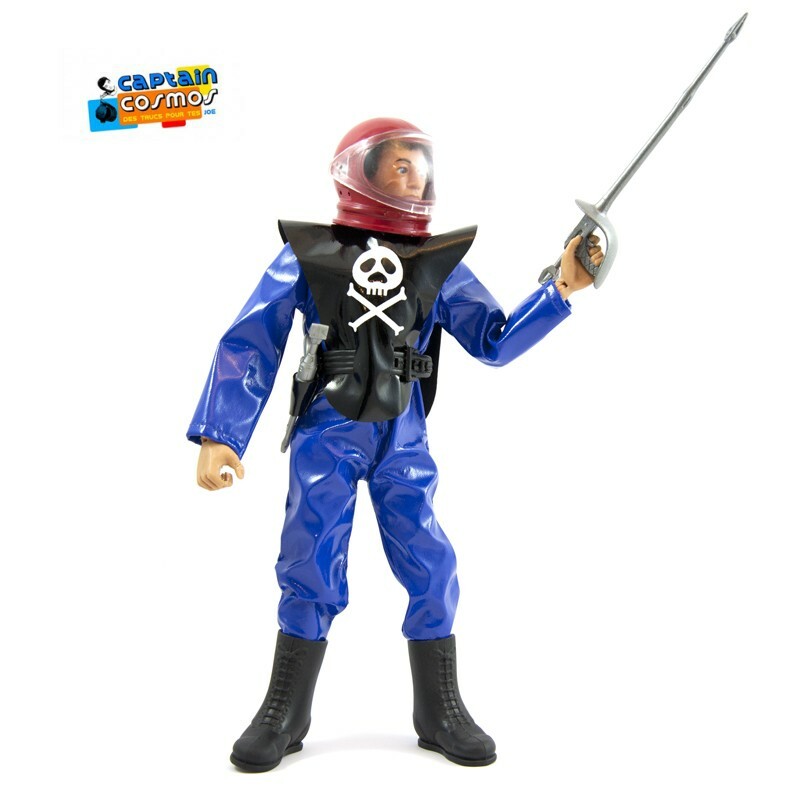 Space Pirate Commander outfit by Captain Cosmos. 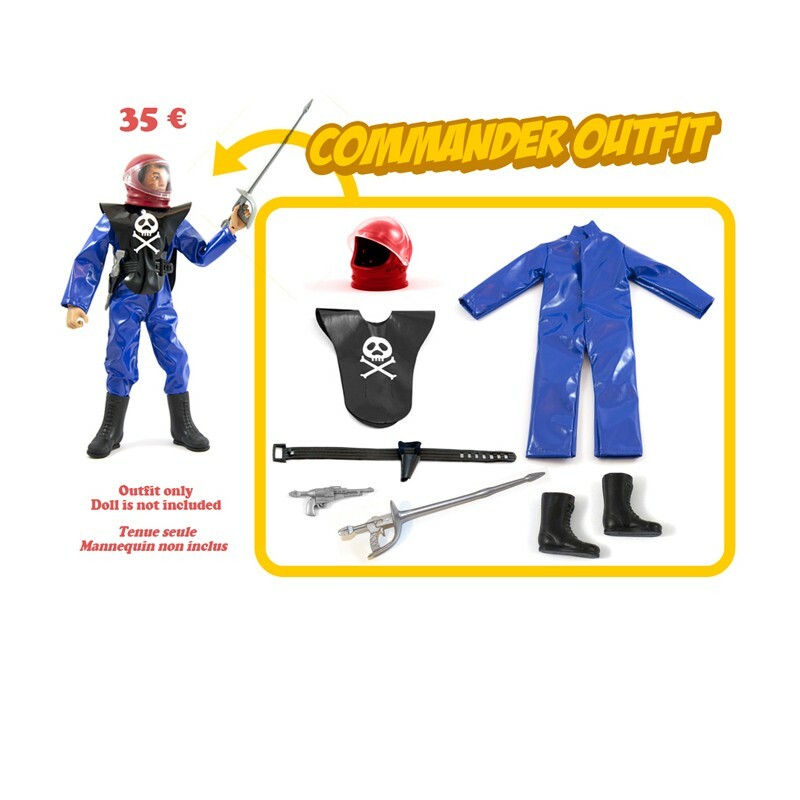 • The Commander outfit boxed in its cardboard canteen. 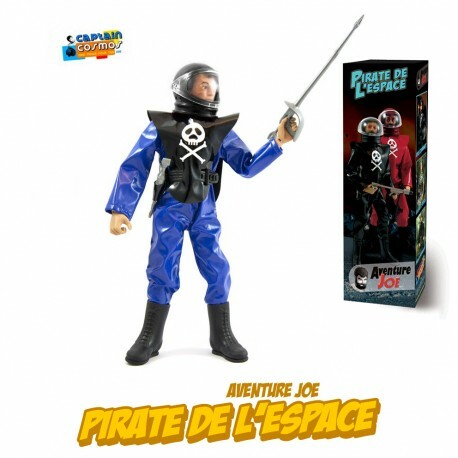 You can choose the helmet color: black or red.